The SwayHopper is a contemporary wheelchair with a modern curved frame. 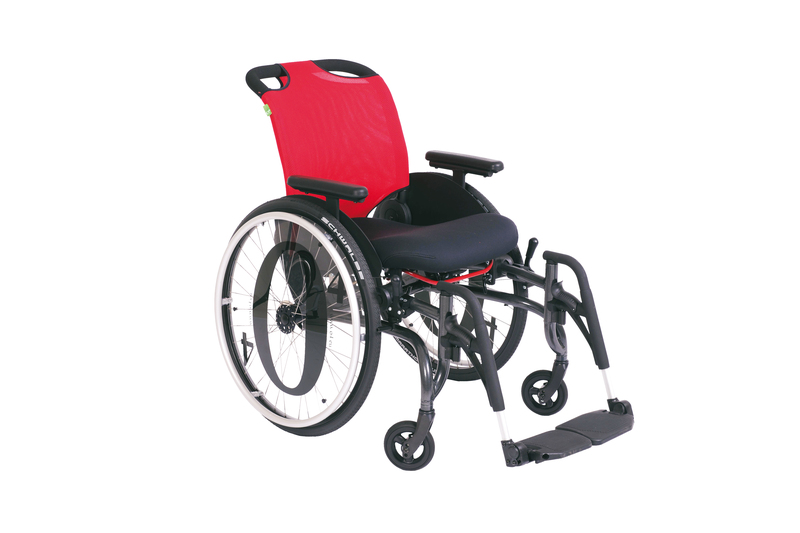 This wheelchair is especially suitable for wheelchair users who wish to have an active and varied life. The retractable and removable leg supports and adjustable footrests make it easier to get in and out of the wheelchair and offer more legroom. High sitting comfort is provided by the ergonomic RCA-Seat-System. View the specifications of the wheelchair here.